Derek Sulger, a partner in Chinese buyout firm Lunar Capital, believes that companies targeted by private equity firms stand to benefit from levering up to improve operational efficiency. This month, the China Banking and Insurance Regulatory Commission has set a minimum target for banks’ new corporate loans to private companies at 50 per cent over the next three years. Some industry players say in China, a general lack of longer term bank financing for private companies has discouraged private equity sponsors from using borrowed funds to finance buyouts. This is in contrast to the view in more matured markets, where the use of debt to finance a buyout is viewed as conducive to higher return. Sulger said private equity investors could potentially also see greater return from their portfolio companies during the fund’s holding period, as these portfolio companies take loans to transform their businesses and expand market share. “Some of our portfolio companies do need some incremental increase in leverage. As the controlling shareholder of these companies, we can ensure that the leverage is used for the best interests of our fund’s limited partners,” said Sulger. 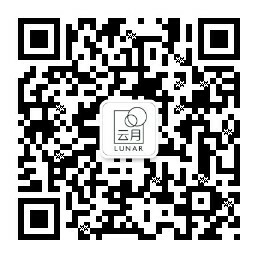 Lunar Capital has made seven buyouts in China over the past three years, with a general focus on the consumer sector. The fund’s limited partners include university endowments and pension funds in the US and Europe, as well as sovereign wealth funds and family offices outside China. With total assets of more than US$500 million, Sulger said Lunar Capital is among the very few early movers in China’s buyout scene. Having raised their first fund in 2008, Lunar Capital’s latest fund IV, which raised US$300 million in late 2017, is currently investing. With many of the entrepreneurs behind China’s 2.5 million private companies approaching retirement age, Lunar Capital sees itself as a potential successorto help founders transform their businesses in the highly digitalised environment of Chinese consumer sector. In one example, he said the new management at Chinese infant apparel brand Yeehoo has successfully converted the means of payment at its retail outlets to using third party payment networks such as Alipay and WeChat Pay. About 95 per cent of sales today are transacted on these platforms, up from just 2 per cent when the business was acquired in 2012. “We will stay very focused on the types of consumer brands we want to acquire in China. We can create a leader in some of the fragmented consumer sectors in the country,” Jerry Mao, a partner in Lunar Capital, said. Lunar Capital’s existing 15 portfolio companies manufacture and run consumer brands in infant apparel, snack foods, lifestyle and personal care products. Growth in Chinese retail sales in October slowed to 8.6 per cent on year, the weakest rate since May and well below the forecast of a 9.2 per cent gain. Sulger remains sanguine on the domestic consumption outlook, saying the US-China trade war would make foreign brands more expensive than local ones.